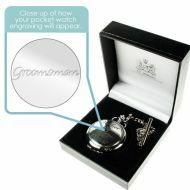 A range of Engraved 'Wedding Themed' Pocket Watches. 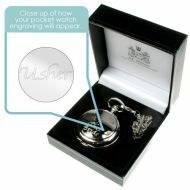 We offer Pocket Watches for Groom, Best Man, Usher, Father of the Bride and Father of the Groom and each is engraved with a personal message. 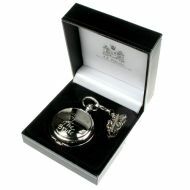 Matched with suits on the Day, these Pocket Watches are the ideal Thank You Gift for the Wedding Party.